As healthcare and medication therapies become more complex and costs rise, therapeutic innovations and the implementation of high quality treatment strategies are more important than ever. The Institute of Therapeutic Innovations and Outcomes (ITIO) strives to tackle these issues, and stimulate the development, evaluation and implementation of new and emerging trends and disseminate this knowledge through education, outreach and publications to impact clinicians and decision makers in improving health outcomes. Through a unique collaboration with the Rx Ohio Collaborative (RxOC), the ITIO provides research support to members of the RxOC. The quality, accuracy, and relevancy of information provided about drug effectiveness and optimum usage is unmatched because of the experts in the pharmaceutical field who are part of the team. 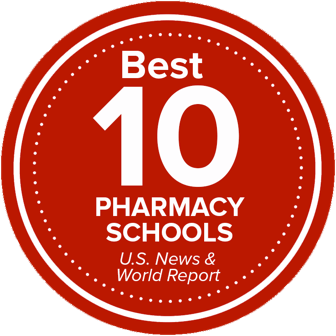 The important relationships Ohio State’s College of Pharmacy and ITIO have throughout the country give the RxOC access to a “think tank” of the nation’s top academic pharmacists, physicians and researchers. This commitment to offer impartial, independent, evidence-based solutions as part of the standard RxOC benefits program means that RxOC members will gain ground as new approaches are identified that control the usage and costs of prescription medications. With the research findings from ITIO, the RxOC has the tools to identify the best benefits program for each employer. Research findings from ITIO are current and timely. The results are communicated to members through conferences, webinars, newsletters, customized reporting/analytics, programs and personal contact from the RxOC account team. The ITIO is home to the College of Pharmacy's Medications Management Program (MMP) which provides medication reviews for more than 78,000 patients who live across the country annually.